I’m not a big one for faffing about with fancy ingredients. Fresh is great, trendy not so much. Then I came across a bottle of pomegranate paste in a Middle Eastern food shop and had to have a word with myself. OK, I thought, these things might be fads for TV chefs but they’re staples in some diets, aren’t they? To confirm my thesis, I consulted the lovely Middle Eastern cookbook by Arto Der Haroutunian that I’ve mentioned before and, yup, there they were – pomegranates all over the place. 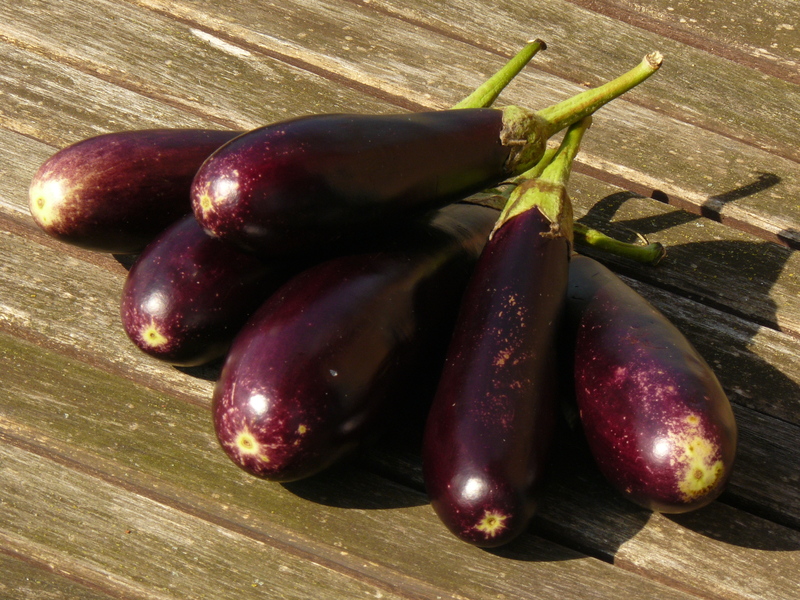 At the same time as I came across the pomegranate paste (it’s in a bottle and more like a liquid, really), I found some cute baby aubergines. Yes, I know that is anthropomorphising to the max – they are vegetables, they are not babies, ergo they cannot in truth be ‘cute’. They looked cute to me though. Adding them to some cut-priced Shiitake mushrooms, I created a great stew that is not the staple of anywhere at all. I could get myself into a terrible tangle here – I’m a big believer in shopping local but, despite the fact that we’re talking aubergines, pomegranate and Shiitake here, I did buy them all at local shops and the market just around the corner from my flat. Does that count? Anyway, this is a very healthy dish, containing phytonutrients, which have anti-oxidant properties. It’s also an excellent source fibre and manganese, and of B vitamins 3, 5 and 6. There’s very little fat in this dish so it will be excellent for carbo-loading with rice or a baked potato – (here’s a great article from Runner’s World on the science of carbo-loading). It hasn’t been tested with pasta yet but I have a strong suspicion that it would go very well with that too. 1. Saute the onion and garlic in the olive oil for 5 minutes until the onion begins to soften. 2. Add the aubergine and cook for 10 minutes. 3. Add the mushroom and cook for another 5 minutes. 4. Now add all of the other ingredients except the cannellini beans and lemon juice. Cook gently for 15-20 minutes or until the aubergines are easy to pierce with a knife. 5. Add the cannellini beans and cook for 5 more minutes, until they are fully heated through. 6. Stir in the lemon juice just before serving.